In some cases, you might need to get all updates made in a table and publish the changes to another table in order to keep them in sync. Transactional replication is a technology that can help you to do this. 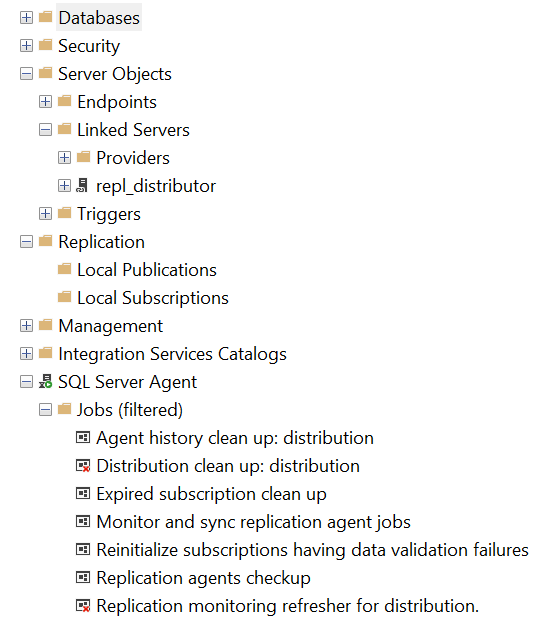 Transactional replication in Azure SQL Database Managed Instance enables you to define what table should be published to some remote destination, and then it will automatically identify all changes made in the table by reading the database transaction log, and then it will apply the same changes on a remote instance. 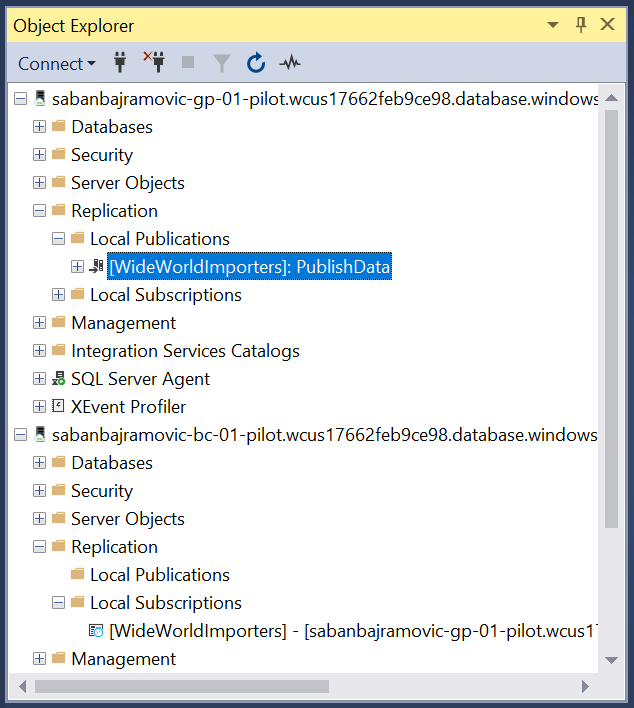 Azure SQL Managed Instance can be publisher/distributor of the changes made in some database table placed on the instance, and other Managed instances, Single databases, and SQL Server databases can be subscribers. The only prerequisite is that the source table must have a primary key column because Transactional Replication uses this column as an identifier of the changes. Do not add the same table on the target instance because it will be created when Transactional Replication starts and initiates the snapshot. A database where Managed Instance will use to distribute the changes. This database is usually called ‘distributor’. Azure File Storage account that is used for replication. Make sure that you don’t execute this script twice (skip it if you have already configured Transactional Replication on your instance). Inserted data should appear after some time in destination table. Transaction replication can be good solution that enables you to keep in sync tables on Managed Instance and remote Managed Instance, Azure SQL Single database or SQL Server database. This article can help you to configure Transactional Replication using Transact-SQL scripts.